Is it too soon to start wearing the festive sweaters? For those of us who get super excited about celebrating the holidays at the end of the year, this can be a tough question. Exactly how early is it socially acceptable for you (and your pug!) to start sporting your favorite holiday apparel? If it makes you happy, we say to go for it! 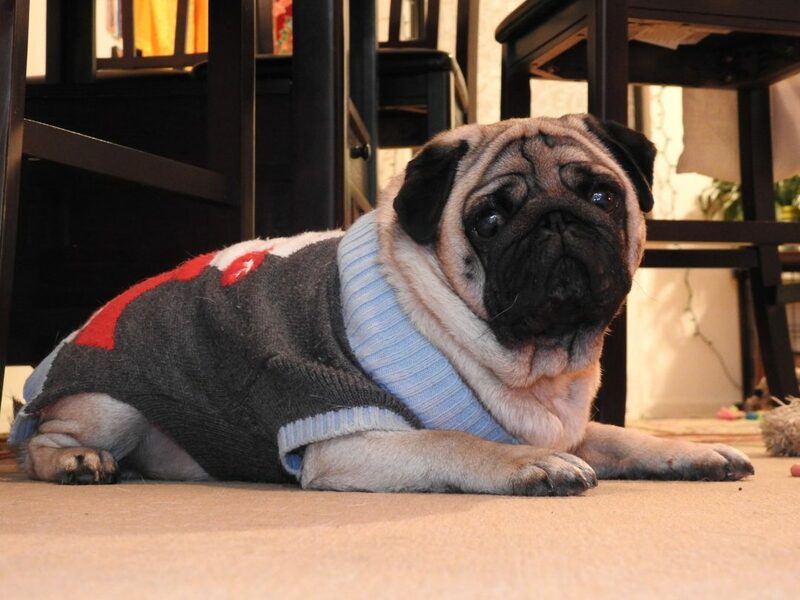 This pug looks quite pleased to be lounging around cozy holiday themed attire.